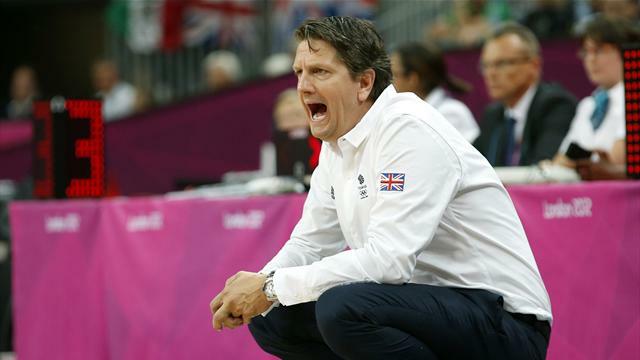 Chris Finch is stepping down as Britain's men's basketball coach after seven years. Finch successfully made the transition from player to coach with British side Sheffield Steelers and has since coached around Europe and America, combining his national role with a position as assistant coach with NBA side Houston Rockets. Finch's team concluded their first Olympic campaign since 1948 with one victory, in their final match against China, but pushed European champions Spain close and held an advantage over Australia before letting it slip. Finch has masterminded a rise up the world rankings since his appointment shortly after London won the right to stage the Games. The future for the team now remains uncertain, the three home nation basketball associations came together for this campaign but are uncertain whether that arrangement will continue, as wanted by world governing body Fiba. "That is going to be my last game here but the focus should be on my guys," said Finch. "The challenge was to build something. I never really thought that I would be here after seven years. "I laugh when people say were given our spot here because it sure didn't feel like it when we were trying to get up through Division B. We really achieved something here."